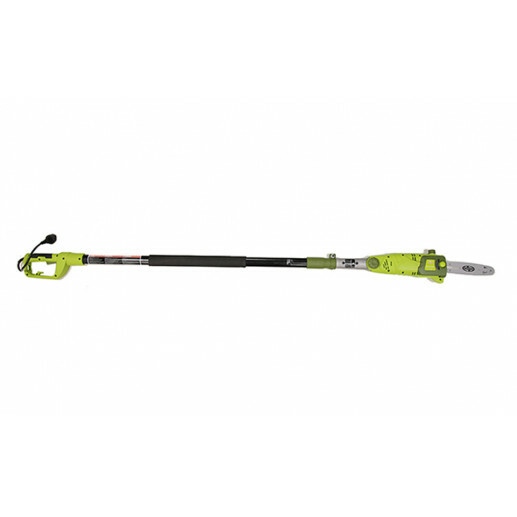 LET GRAVITY DO THE WORK™ The Sun Joe®Saw Joe SWJ802E pole chain saw takes the danger and difficulty out of trimming your overgrown trees. At only 7.9 lbs, the Saw Joe SWJ802E is super lightweight and easy to handle. 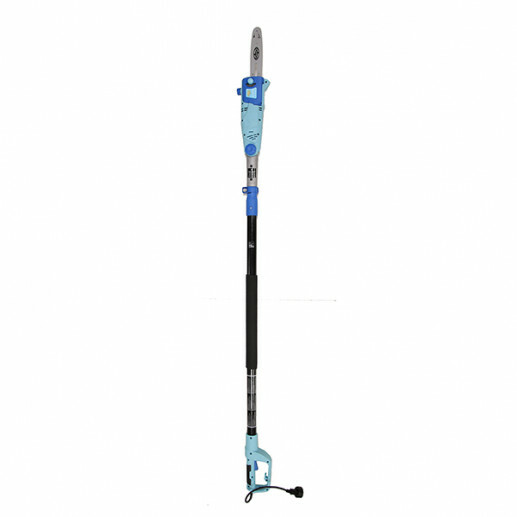 Stand safely on solid ground and extend its telescoping pole to gain up to 15 feet of overhead reach. 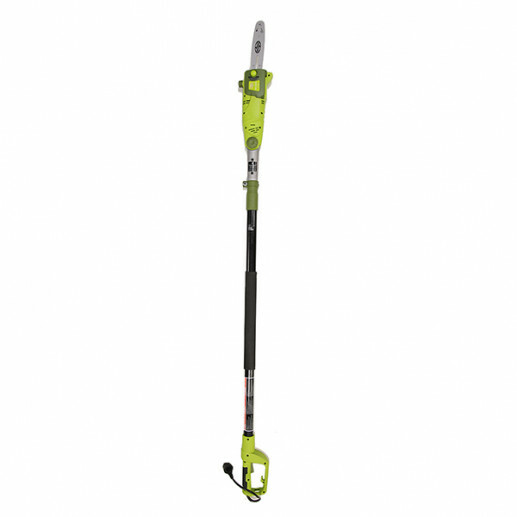 Powered by a 6.5-amp motor, the SWJ802E can handle the most stubborn tree limbs up to 7.5-inches thick. 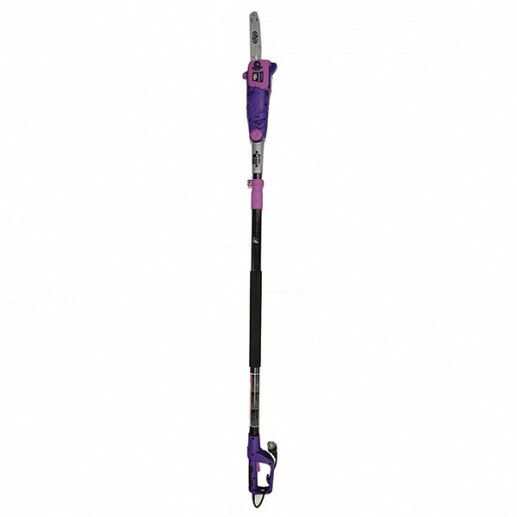 This pole chain saw features an 8-inch Oregon bar and chain with an auto-oiler to keep the bar and chain fully lubricated during use. 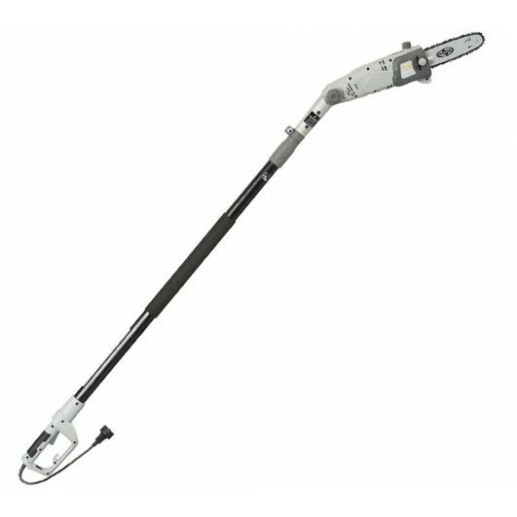 Unique to SWJ802E is a multi-position adjustable head, which cuts from 0º to 30º angles. DIMENSIONS: 4.00" x 6.00" x 74.00"